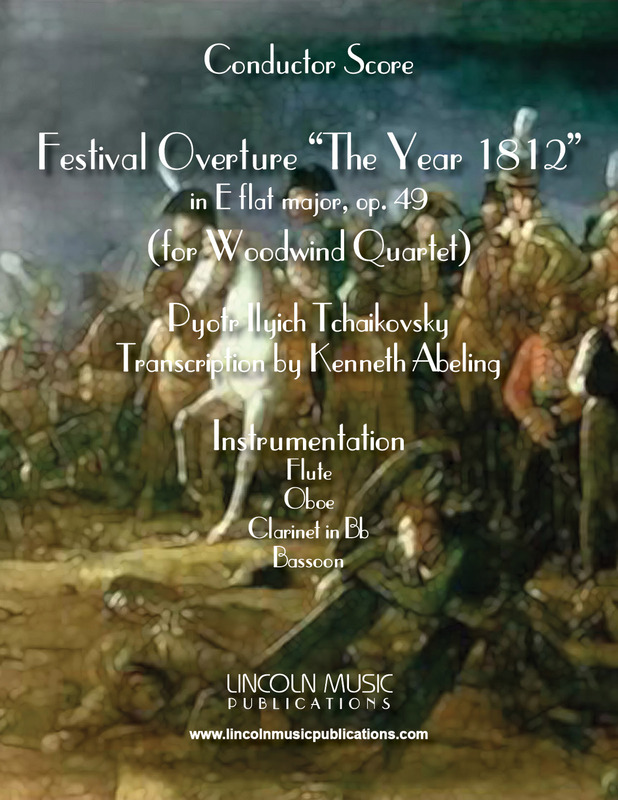 This is the entire 1812 Overture or Festival Overture "The Year 1812" in E flat major, op. 49 for Woodwind Quartet by Pyotr Ilyich Tchaikovsky. It is often performed in the US alongside other patriotic music at Fourth of July celebrations. This is an advanced transcription and loyal to the composer’s original intent.